Two stunning circles of hand cut slate pair together to create a timeless wall piece. 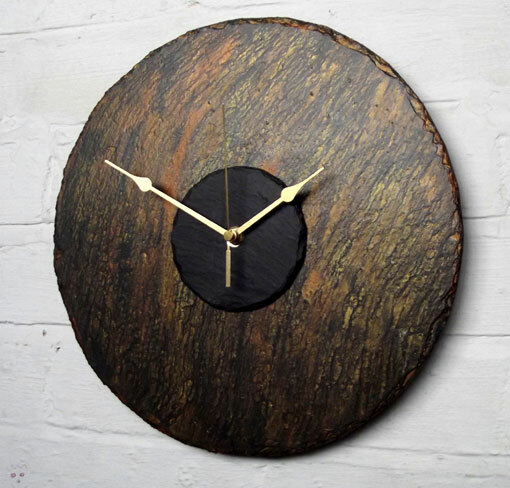 The outer circle is fashioned from reclaimed Cornish slate and offers earthy tones of bronze, copper, amber and gold. The inner circle is stark in pure black. Together they form a work of art! The face has no numbers to detract from the natural beauty and a simple set of bronze hands indicate time. Sized at 30cm.